Some of you can remember many of those embodiments, which allows you to better release the clouds of illusion. Many of you are not, yet, aware of your other incarnations, but as your consciousness expands to resonate primarily to the fourth dimension, you will begin to remember that DEATH is one of greatest illusions on Earth. Much like a hermit crab on the ocean floor, you need to “take a new shell” to continue your LIVES -long missions. Therefore, “death” simply means that your 3D shell no longer serves your needs, and you will need to release that shell to find a new one. Many of our brave volunteers have spent many eons on the “Wheel of birth/death” between 3D to 4D to 3D to 4D. After a certain amount of turns of this Wheel, you chose to return Home to your realities in the fifth dimension and beyond. Of course, the intense forgetfulness that overtakes your soul essence from too many physical incarnations can make that return HOME difficult. However, it is not the return that is difficult. The difficult part of the return is remembering how to make that return. Now, the entire planet that is ready for Her return HOME into the higher frequencies, but many of Gaia’s humans are still lost in the fog of forgetfulness. Therefore, beloved members of our Galactic Family, we are sending emissaries into your daily life. As those of you who are awake know, we have been sending our emissaries for many years. Since the atomic bombs are still on your planet (except we Galactics will NOT allow you to detonate them) you can see how much your human rights were respected. In fact, many wars are still waged on your planet that totally disregard human, animal, plant, environment and planetary rights. How many humans have benefitted by these wars? How many humans were killed in the prime of their life, or while sitting at the dinner table having a family meal? How many of these wars are even known? We ask these questions as the answers are hidden behind the cloud of illusion of which we just spoke. We realize that it is the resonance of your third dimensional reality that allows war as a solution to conflict. We also realize that it is the resonance of your third dimensional consciousness that locks you within that world of illusion. Just as water sitting in a metal pot with the fire burning brighter and brighter, transmutes the water into air, the higher frequencies of light are transmuting the lies into truths. The TRUTH is increasingly being revealed by Galactics and brave humans who have “shone their light” onto the lies and illusions. Of course, our dear earth bound friends and family, you will need to search your Internet to find the “hot news,” but when you look for it, you will find it. Information is NOW available to those who are willing to search for it. In fact, even those who once sought to keep you in your 3D cage because they believed that they could never raise their resonance are discovering that the LIGHT shines on any one who seeks it. In your “past,” many brave ones who sought to share their truth were punished or “disappeared.” However, they did not die in vain, as their courage has brought inspiration to others. We, your Galactic Family are very proud of all of you who bi-located your great multidimensional consciousness into a 3D vessel. We say “bi-located” because YOU are all multidimensional beings. Therefore, your fifth dimensional, and beyond, SELF sent a fragment of your essence/consciousness into a human on the edge of birth or death. It is during birth or death that the portal of the human is open to a higher dimensional consciousness to flow into or out of an earthen shell. During this transition, a higher dimensional expression of your “stream of consciousness” can bi-locate into the earth vessel, while still remaining in the higher dimensions. 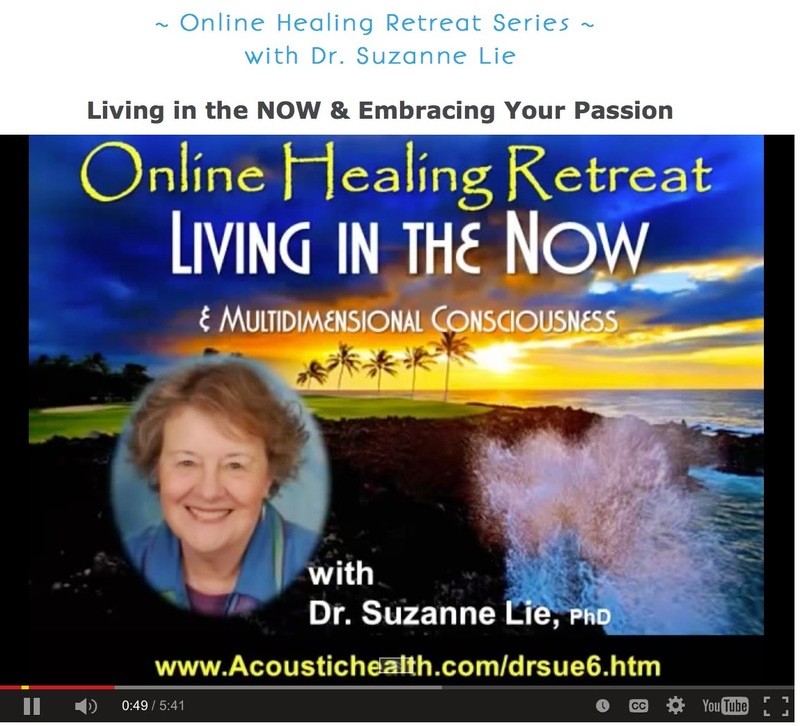 We ask you to NOW imagine your SELF as a “stream of consciousness” flowing through the ONE of the NOW. Within your fifth dimensional and beyond states of awareness, you are aware of this stream. However, while your consciousness is restricted to the third/fourth dimension, you are greatly hindered by your belief in separation. When you feel the stream of YOUR consciousness swirling around you, and extending into the higher dimensions? How do you perceive your physical form? How does your physical body feel? Now, feel how your “stream of consciousness” flows into the core of Gaia. How does it feel to be ONE with Earth? Can you remember when you flowed “downstream” into the vessel you are now wearing? Please use your imagination. It is only your 3D thinking that believes you cannot remember. We ask you to LET GO of the lives of indoctrination in which you were told that you were JUST one person. When you remember these experiences, you will KNOW that you cannot die. You are a stream of consciousness that floats through myriad realities within the NOW of the ONE. We remind you, our beloved ground crew, of this fact because it is the NOW. The NOW that you have waited for in untold lives is slowly, but surely, dawning into a new day. The cure we offer for that situation is to stop “waiting” and start “doing.” When you are engaged in an important task, time flows swiftly. But, when you are waiting, time seems to almost stop. While you are waiting, time feels much longer than the clock or calendar states. When you arewaiting you are NOT doing, so the illusion of time flows slowly and seemingly beyond your control. On the other hand, if you are DOING, you are not waiting. Instead, you are contributing to something that is better than your own personal needs. Then, all sense of victimization disappears, as you are too involved in a possible solution to worry about what might, or might not, occur. Also, your action greatly diminishes your fear. The answer to this question is, “The time has flowed into the higher dimension, taking your consciousness with it.” After you have spent your “time” learning, sharing what you have learned, contributing to and preparing for the sunny day in which the TRUTH is revealed, you feel fulfilled, useful AND multidimensional. We do NOT judge those who have become lost in the lethargy and impatience of fear. Instead, we send you unconditional love and remind you that YOU ARE VERY IMPORTANT. We miss your contribution, as from our perspective we can see that every one of you chose your Mission (that which you volunteered to work towards) before you took this incarnation. When you wrote your pre-birth contract, you forgot how difficult the third dimension could be. Then, when you faced those difficulties, you forgot how helpful your own higher dimensional SELF could be. We lovingly remind those of you who feel alone and with no one to help you, that you ALWAYS have the YOU of your own multidimensional SELF. Also, you always have us, who your Celestial and Galactic friends and family. If the ONLY thing you do is open the portal of your earth vessel so that the higher light can use your own inner portal to anchor its multidimensional energies into Gaia, you are GREATLY assisting Earth. Therefore, while you are “waiting,” please open your inner portal. · You are opening your awareness to the multidimensional stream of your SELF. · You are realizing that YOU are a multidimensional Being. · You are aware that YOU are wearing your earth vessel. · You are recognizing that Gaia is an alive being wearing a planetary vessel. · You are increasingly accepting that LIFE exists on myriad planets, solar systems, universes, realities and dimensions. Our beloved human members of Earth, you are WAKING UP. You are shaking off the shackles of brainwashing, lies and archaic beliefs. From our perspective, we see that the higher light is taking root in more and more of humanity. Also, you are observing how the animals are changing, the plants are changing and the weather is changing. Most important, the light of planetary transmutation is creating wormholes through the fog of illusion. Gaia is NOW transmuting and returning to Her higher dimensional expression, and more and more of you are choosing to join Her. Congratulations. As the clouds clear, please look into the light to see us applauding YOU. Beloved ones, we are the Arcturians. We are here to begin our process of sharing with you the energetic weather reports. As you know the energy fields on Gaia have been extremely intense, and the frequencies seem to be rising every day. However, simultaneously, there are other places, situations and people where the frequencies seem to be getting lower. This is because as the frequency gets higher, there are people who are dropping out. This doesn’t mean that these people will not be able to continue their Ascension process, but it means instead that sometimes our beloved Galactics and Celestials wearing human forms need some time to rest. Some of you need to just stop and be still, take a vacation, do only do what you want to do, be with friends, travel, be in nature, write, sing, dance – whatever brings joy in your life. This is so important because, even when you are sitting still, it is working very hard. Your body has to adapt to higher and higher frequencies of Light. As this higher Light is moving into your pineal gland, it is going into your endocrine system and moving through all of your Chakras. 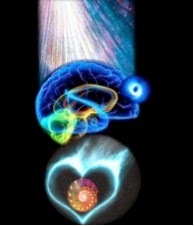 As the higher frequency light moves into the endocrine system of all of your chakras, you begin to have a different bio-chemical mix, so to speak. Another thing that is occurring is that time is becoming increasingly confusing. This confusion is because as you are moving into your fifth-dimensional consciousness you are beginning to remember how it is to live in the NOW. Hence, you get so involved in the NOW of what you are doing, thinking or being, that you lose all track of time. Then you look back and say, “Oh look, I’ve wasted all of this time.” We want you to know that there is no wasting of time. We want you to know that it is vital that you allow yourself to surrender into your true SELF, surrender into your fifth-dimensional SELF that resonates to the One of the NOW. Speaking of resonance we see that many of you have begun to feel the kundalini merging its way up your spine and undulating up and down. Within that kundalini your Lightbody is getting ready to flash forward. Now we will not give you a time for this because time is an illusion of the third-dimension. You already have a Lightbody in your fifth-dimensional self. When you are serving on the Starships, you are primarily serving in your Lightbody. However, the Lightbody that you are wearing while in your fifth-dimensional state of consciousness does not look the same as a Lightbody you may perceive while you are in a third-dimensional state of consciousness. If you perceive a Lightbody, in other worlds, but you are in third or fourth dimensional consciousness, it will be something that is almost beyond your perceptions. So therefore it will look like a flash of Light. It will be a bit blurry, and you may not see details like fingers, toes, noses or eyes. You might just see a large being of Light. However, if you are also wearing a fifth-dimensional body of Light, you will perceive that body in much greater detail. In fact, you can see all of the details of that being. You can see their face, their arms, their body, and you can feel that they resonate to this fifth-dimensional Light just like you do. It is very difficult to accurately perceive a reality that is beyond your state of consciousness. You might be able to perceive it with your imagination, which is really your fifth-dimensional thought, for a bit of your time. But you will quickly become tired as your third-dimensional brain is not programmed for that type of perception. Now, more and more of you, our beloved ones wearing Earth vessels, are beginning to awaken to your higher perceptions. You are beginning to see with your clairvoyance, hear with your clairaudience, and feel with your clairsentience. Therefore you are able to see beings of Light that you have not been able to see before. However, until you have become accustomed to perceiving that frequency, you may still have difficulties perceiving, acknowledging and recognizing the details of these perceptions. It is much like using an old, crystal radio to try to receive a high-speed transmission from outer space. That radio would not be able to receive it and if it did it at all, it would not be very clear. That is what is occurring with you now. Just be patient and allow yourself to perceive the higher realities in whichever manner they come to you. Remember that belief and perception are best friends. If you can believe, “I am perceiving a Starship,” then you have given yourself permission to imagine that you are actually seeing a Starship. In fact, you can’t see that Starship unless you use your fifth-dimensional imagination, or your clairvoyance, or you might hear it with your clairaudience. You may just know that the Starship there with your clairsentience. Sometimes you will look up into the sky and see a star and say, “No that is more than just a star. I know inside me that it’s more than a star. I can feel it. I can feel it in my heart. I can see it in my Third Eye. I can even imagine myself on that ship. Oh, NOW I can remember that dream I had not too long ago. I don’t remember many details of that dream. I just remember talking to someone who was definitely not human. Even if they were Pleiadian, they were clearly not human. They looked like human but they did not feel like human. They did not talk like human. In fact, they didn’t talk at well. We just spoke with our minds. Don’t worry, practice makes perfect. More and more, you will be able to acknowledge that you visit us on a regular basis. You will also be able to acknowledge that we visit you. Now we don’t visit you in that we would lower our high frequency bodies down to the density of your world except for short periods of time. When we do visit your frequency, very often we wear special suits that help us to maintain our own inner frequency. If you were to go to the bottom of the ocean, you would wear a special suit because you would need that assistance to live in such a different environment. In the same manner, we also often need assistance to be able to spend much of your time in your low frequency of reality. Also we know how to project, what they used to call it in the third and fourth dimensions, of the glimmer of magic. Actually, we know how to create a thoughtform around us. Therefore, you see that thought form that we have created. We are not trying to fool you at all, but we don’t want to frighten you. We do want you to know that we are among you, and we walk with you much more than you can imagine. Now again, we are going to touch down and walk with you a while, then go back up to our ships and into our innate higher frequency. But it is good for us to lower ourselves even though we have to make special preparations because then we can really understand what you, our dear grounded ones, have to go through every day. We also want you to know that we are here and we will be more and more visible. So just relax and believe that we are real. Remember, what you can believe you can perceive and what you can perceive you can believe. Know that we perceive every one of you, and we send you all Light. We are also sending Light to all of humanity, especially to those who are lost. Fortunately, there are many who are awakening from the members of the lost ones. We are very happy to share that information with you. Well, see you on our Ship. We will return soon (within your illusion of time) to transmit another Energetic Weather Report. Beloved ones we are the Arcturians. Click HERE to see details and to sign up. …Yes, Suzille, thank you. In fact we wish to thank YOU and all your many readers who have followed us through out the many years since the early 1990’s. We know that all of you have had to wait, and wait, and wait, for us, the Galactics, to come directly into your reality. We understand how many of you have become frustrated and confused that we have not, yet, landed. However, Gaia is a free will planet. Therefore, there must be a “majority consensus” before we can begin our landings. Also, we have to know that it will be safe for the humans and for Gaia. As you ay know, there are still many beings wearing humanoid form that have conspired against our landing. Many of these humans are so very overwhelmed by daily survival, that the thought of re-structuring their entire world is terrifying. The dark one created businesses, jobs and global events that kept these people on “survival mode,” so that anything outside of working hard, and having some fun, was the only life they could imagine. There are also many brave ones who were killed by the dark ones for daring to tell the truth to the people of Earth. Even though your third dimensional consciousness may not be aware of your fear, your earth vessel is aware of it and makes adjustments on to “protect your self.” Therefore, your 3D consciousness focuses on the cause, or the feeling, of the fear while your 5D consciousness simultaneously focuses on your higher perception of the message that has frightened your 3D consciousness. Now we will tell you the best part of this adventure. YOU also remained Home in your beloved starship, planet and/or dimension. Everything in your 3D reality is being tracked, observed, facilitated and guided by your Multidimensional SELF. We are so sorry that many of our brave volunteers had to prematurely log-out of their earth vessel and return Home. We are aware that to the 3D perceptions of those who cared for them, they died. We tell you ALL now that death is an illusion of the third dimension. If you fell into the darkness, or chose to incarnate into the forces of darkness and became lost, we do not judge you. You love you unconditionally and assist you to heal from that experience. Once healed, those that have fallen into the darkness are wonderful sources of information about how to assist others who have been tempted, and/or brainwashed, by the darkness. Therefore dear ground crew, as you continue with your path of ascension, which is simultaneously completed within our NOW, remember that YOU are not alone. You have chosen to place your great multidimensional consciousness into a very small and dense earth vessel to assist Gaia. Simultaneous to your current earth life, you are living myriad expressions of your Multidimensional Life. If you were to “lose your earth vessel,” it may interrupt your mission to Earth, but simultaneously you would be returning HOME to your true Multidimensional SELF. We tell you this information ONLY because humanities great fear is death. The beings of the darkness, the lost ones, control you with that fear. They constantly talk about horrible diseases, which they are simultaneously creating. They try to frighten you with yet another war, which they are simultaneously creating, and they broadcast news of yet another “crazy person or group,” which they have simultaneously created. I love you wonderful answers. Let’s make talking about ascension NORMAL! The energetic weather report is “hot” and “cloudy.” By “hot” we mean that many new developments are “heating up” to the “boiling point,” in which they will be revealed. It is “cloudy” because there is still a great deal of TRUTH that is hidden behind the clouds of illusion. Most of you, our volunteers to take earth vessels, have taken quite a few lifelong assignments on the 3D Matrix of Gaia. Some of you can remember many of those embodiments, which allows you to better release the clouds of illusion. Many of you are not, yet, aware of your other incarnations, but as you consciousness expands to resonate primarily to the fourth dimension, you will begin to remember that DEATH is one of greatest illusions on Earth. Since the atomic bombs are still on your planet, you can see how much your human rights were respected. In fact, there are many wars are still waged on your planet that totally disregard human, animal, plant, environment and planetary rights. Just as water sitting in a metal pot with the fire burning brighter and brighter, transmutes the water into air, the higher frequencies of light are transmuting the lies into truths. TRUTH is being increasingly revealed by Galactics and brave humans who have “shown some light” onto the lies and illusions. Of course, our dear earth bound friends and family, you will need to search your Internet to find the “hot news,” but what you look for you will find. Information is NOW available to those who are willing to search for it. Those who have sought to keep you in your 3D cage because they believed that they could never raise their resonance, are also discovering that the LIGHT shines on any one who seeks it. During this transition, a higher dimensional expression of that “stream of consciousness” can bi-locate into the earth vessel, while still remaining in the higher dimensions. 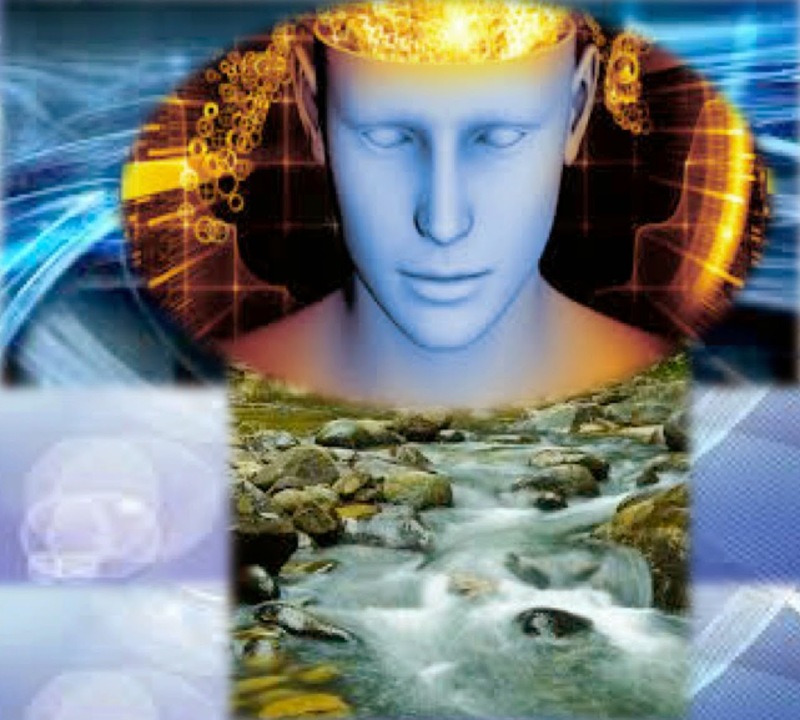 We ask you to NOW imagine your SELF as a “stream of consciousness” flowing through the ONE of the NOW. Within in your fifth dimensional and beyond states of awareness, you are aware of this stream. However, while your consciousness is restricted to the third/fourth dimension, you are greatly hindered by your belief in separation. When you feel YOUR stream of your consciousness swirling around you, and extending into the higher dimensions, how do you perceive your physical form? How does your physical body feel? What are your thoughts and emotions? Can you remember when you flowed “downstream” into the vessel you are now wearing? Use your imagination. It is only your 3D thinking that believes you cannot remember. We ask you to LET GO of the lives of indoctrination in which you were told that you were JUST one person. When you remember these experiences, you will KNOW that you cannot die. You are a stream of consciousness that floats through myriad realities within the NOW of the ONE. We remind you, our beloved ground crew, of this fact because it is the NOW. The NOW that you have waited for in untold lives is slowly but surely dawning into a new day. The cure we offer for your situation is to stop “waiting” and start “doing.” When you are engaged in an important task, time flows swiftly. But, when you are waiting, time seems to almost stop. While you are waiting, time feels much longer than the clock or calendar states. When you are waiting you are NOT doing, so the illusion of time flows slowly and seemingly beyond your control. On the other hand, if you are DOING, you are not waiting. Instead, you are contributing to something that is better than your own personal needs. Then, all sense of victimization disappears, as you are too involved in a possible solution to worry about what might or might not occur. Also, your action greatly diminishes your fear. The answer to this question is, “The time has flown into the higher dimension, taking your consciousness with it.” After you have spent your “time” learning, sharing what you have learned, contributing to and preparing for the sunny day in which the TRUTH is revealed, you feel fulfilled, useful AND multidimensional. We observe how very difficult it can be in the third dimension and how many of you have had more challenges than you believe you can overcome. We say to you, our beloved ones, thank you for taking on the difficulties of your life. When you wrote your pre-birth contract, you forgot how difficult the third dimension could be. Then, when you faced those difficulties, you forgot how helpful your own higher dimensional SELF could be, Those of you who feel alone and with no one to help you, we remind you that you ALWAYS have the YOU of your own multidimensional SELF. Also, you always have us, your Celestial and Galactic friends and family. 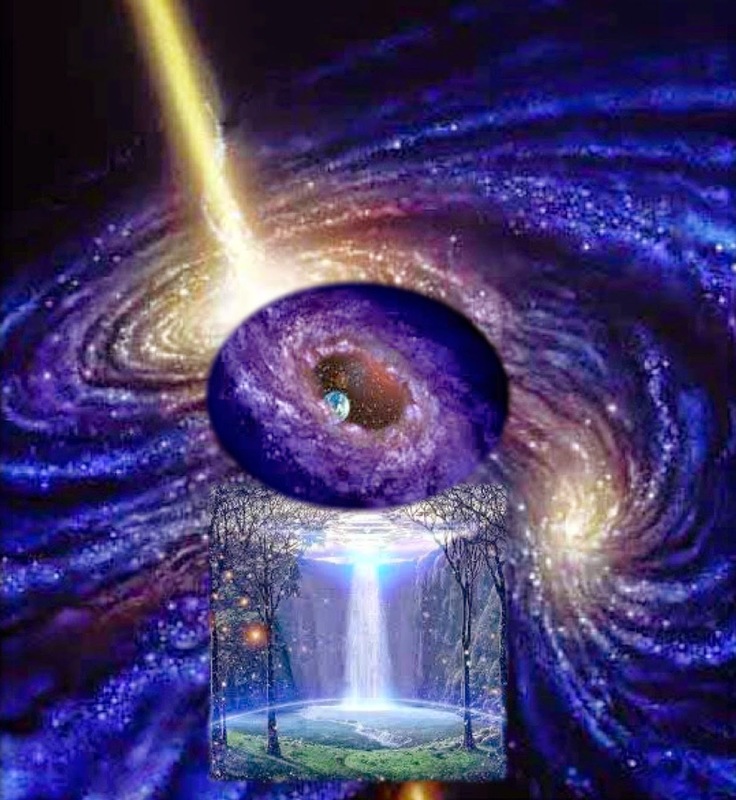 If the ONLY thing you do is open the portal of your earth vessel so that the higher light can use your portal to anchor its multidimensional energies into Gaia, you are GREATLY assisting ascending Earth. Therefore, while you are “waiting,” please open your portal. You are aware that YOU are wearing your earth vessel. You are recognizing that Gaia is an alive being who is wearing her planetary vessel. Also, you are observing how the animals are changing, the plants are changing and the weather is changing. Most important, the light of planetary transmutation is creating wormholes through the fog of illusion. Gaia that is transmuting into Her higher dimensional expression, and more and more of you are choosing to join Her.